Five months ago, Molly, the Duchess of Fork, introduced me to a darling Facebook boutique run by a sweet friend of hers, Heather. Immediately upon visiting her website, Ella Madison boutique, I was smitten and the rest might as well be history. Over the course of the last several months, I've loved watching Heather's boutique grow and flourish as she picks out the latest trends both in clothing and accessories and stocks her virtual shelves. 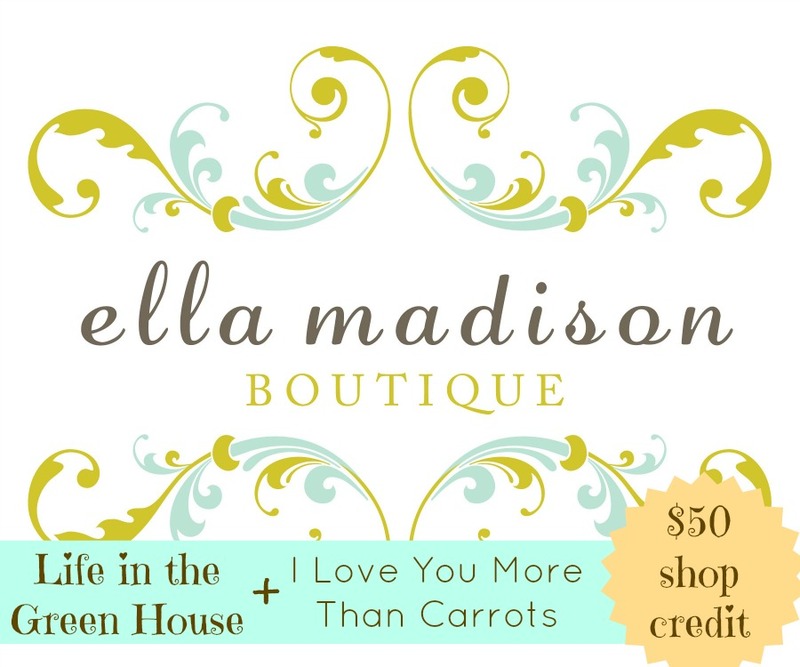 Most recently, you may recall me mentioning that her shop, Ella Madison boutique, would be sending me to Blissdom in Dallas with a few fantastic pieces to wear as a representation of her awesome store. Jen, my roommate, also brought with her a few pieces and it was fun to play dress up for a couple of nights while we were away from our families. 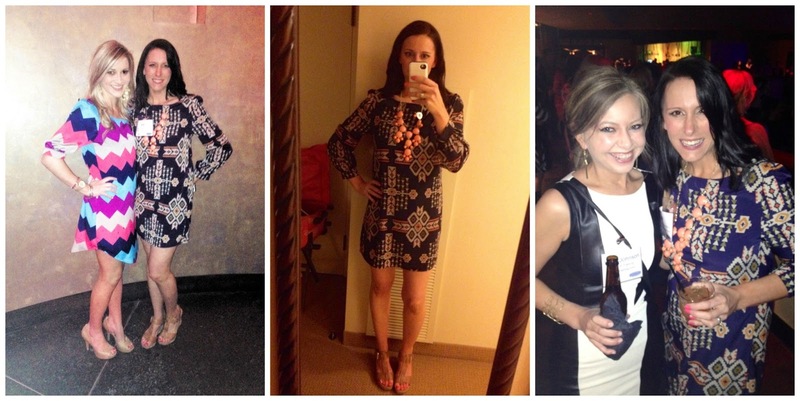 The Aztec print dress seen below in navy has quickly become one of my all-time favorite pieces. Paired with a statement necklace and wedges, it has served me well both for girl's night out as well as a date night! Whew. I have not worn a dress that short in a long time. Thank goodness for self-tanner. The Mocha tunic top and pink cheetah scarf seen above have quickly become staple pieces in my every day uniform. Whether running errands or rushing off to the park with kids in tow, each of the pieces has served me well since adding them to my closet. 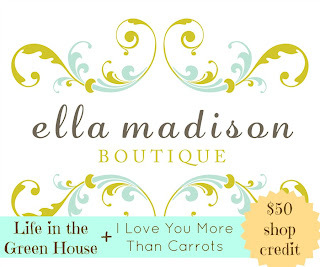 Today, Jen and I are excited to offer one lucky reader a $50 shop credit to Ella Madison boutique. If you need help deciding what you would spend your winnings on, I would love to step in and offer up a few helpful suggestions. After all, each of these items is on my must-have list this month! Be sure to enter using the Rafflecopter widget below. This giveaway will end on April 10th, 2013. Good luck to all those who enter! 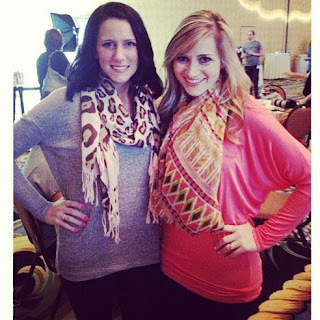 I wish they still had the mocha dolman sleeve top still in stock! Love it.